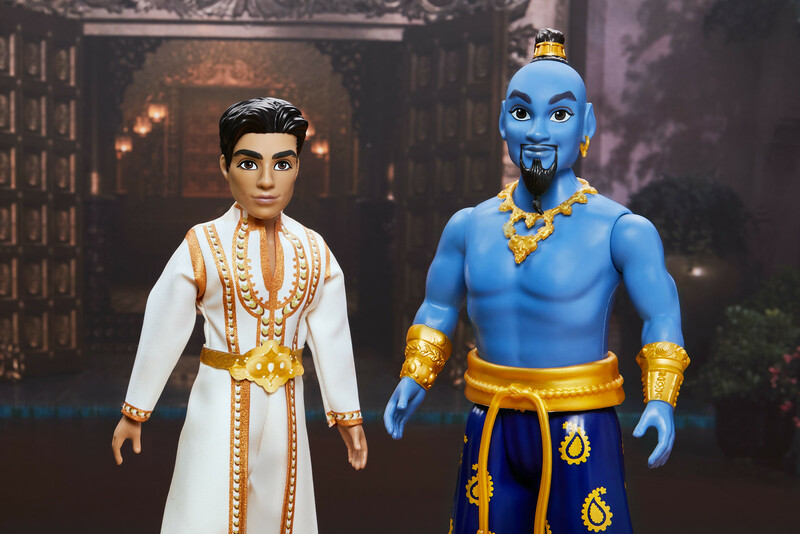 Hasbro releases a set of 5 dolls based on the characters from the new Disney Aladdin movie. 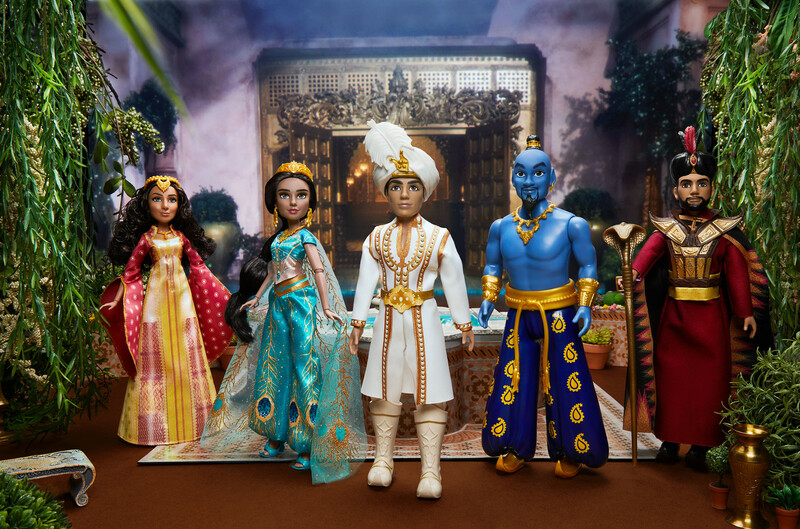 Includes Aladdin doll, Genie doll, Royal Vizier Jafar doll, Princess Jasmine doll, and Dalia doll. 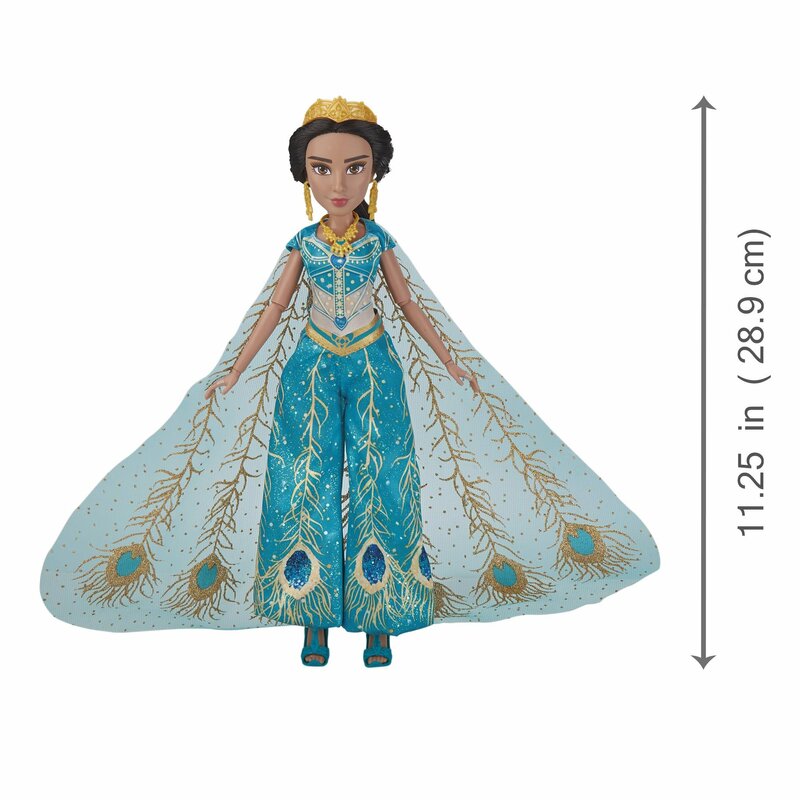 The Princess Jasmine doll features pants and a cape with glittery peacock feather designs. 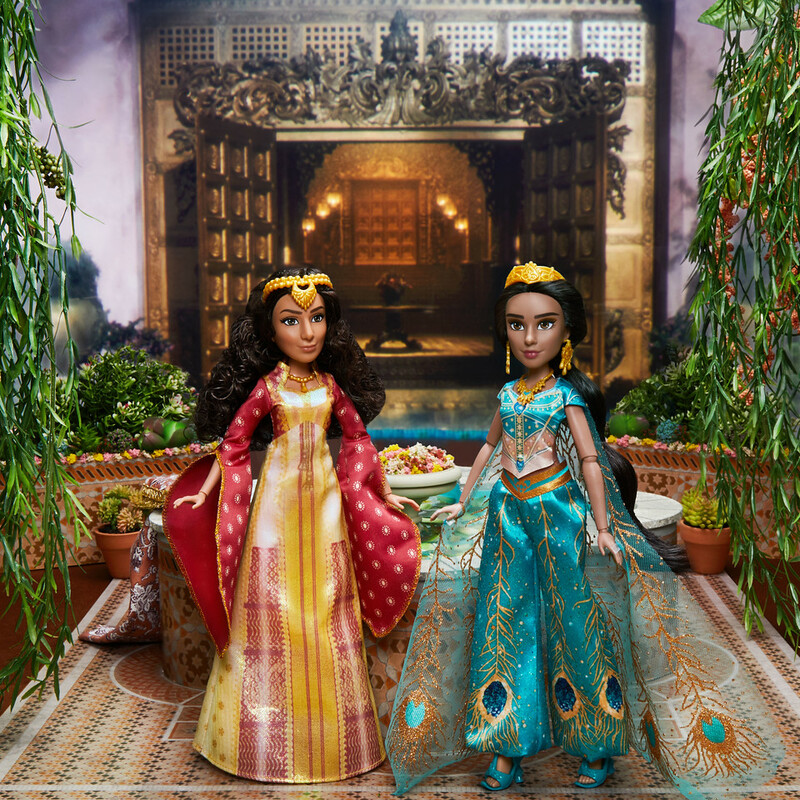 The Dalia doll, inspired by Jasmine's best friend, wears a maroon and gold-colored gown with billowing sleeves. 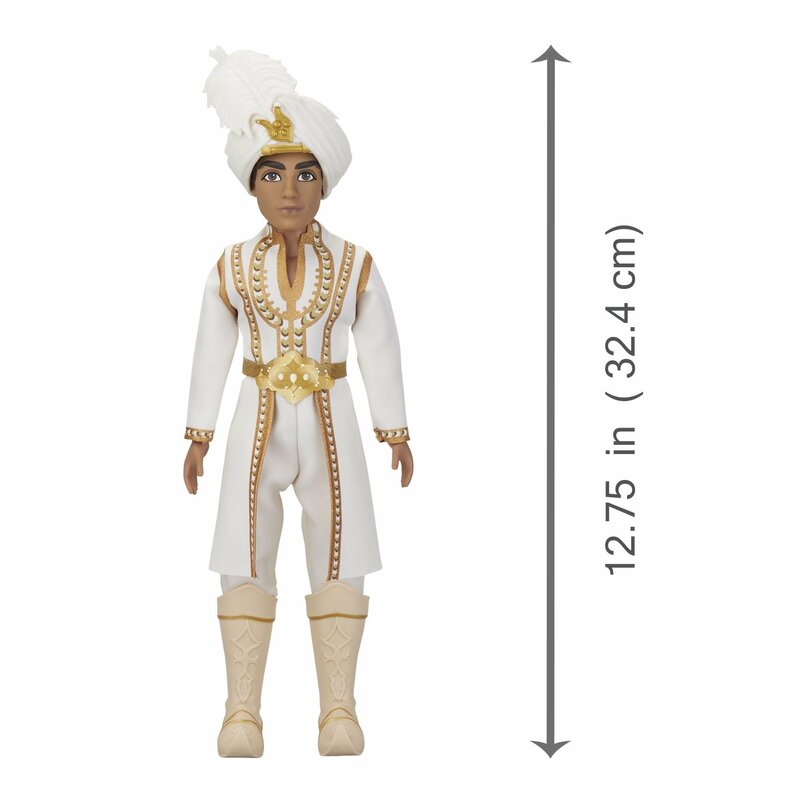 The Jafar figure features a long cape with gold detail, swooping shoulder pieces, and a headpiece. 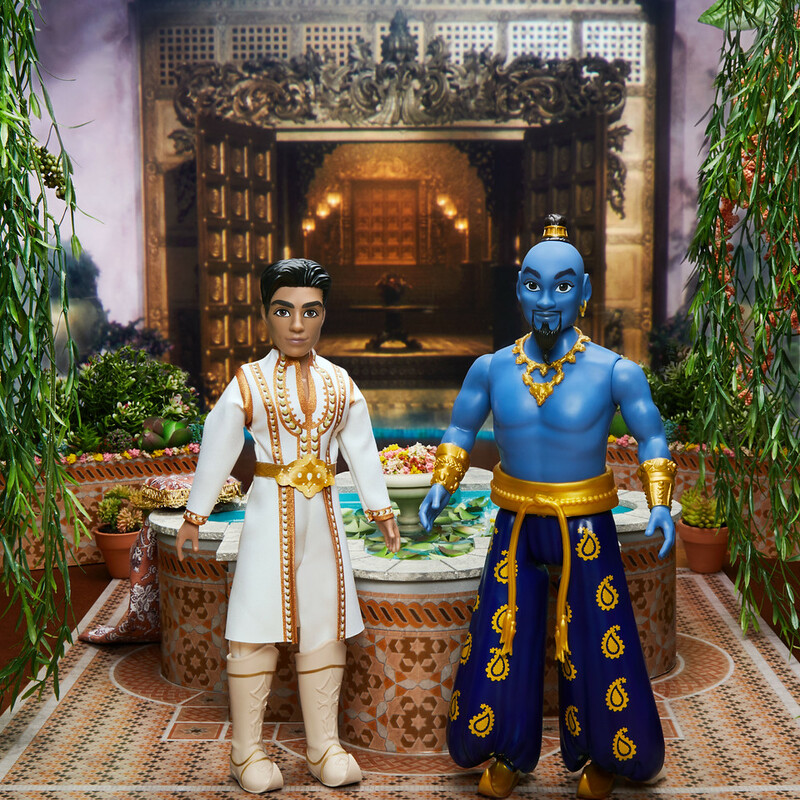 The Aladdin doll wears his white Prince Ali outfit, with boots and a headpiece, and the Genie doll wears his blue, paisley-patterned pants and gold-colored slippers with turned-up toes. 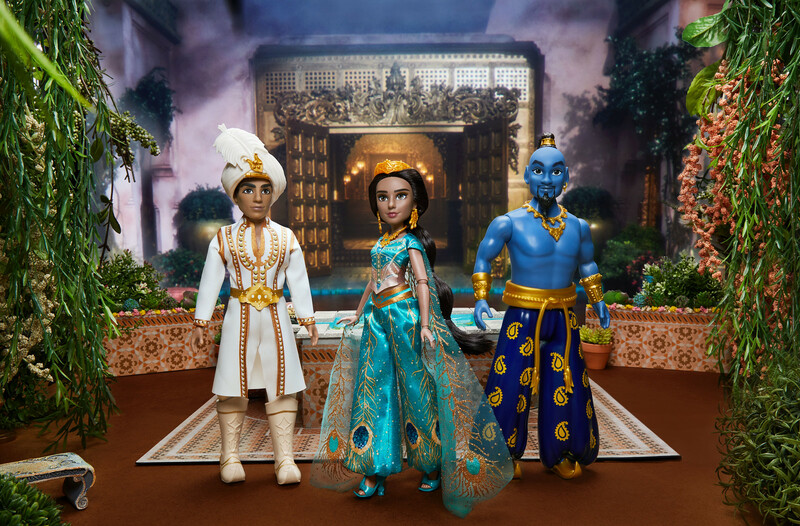 This multipack of fashion dolls makes a great birthday gift or holiday present for fans who love the classic animated film and the live-action movie, Aladdin. 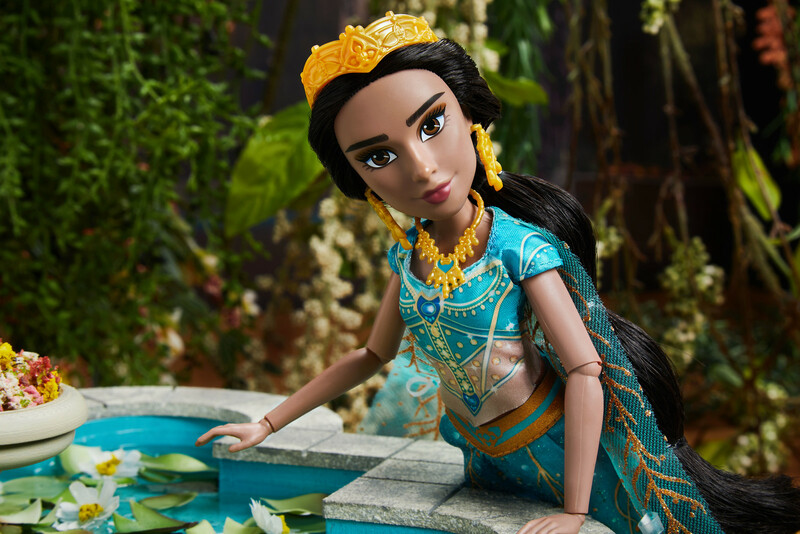 Includes: 5 dolls, 4 outfits, cape, 4 pairs of shoes, and 9 accessories. 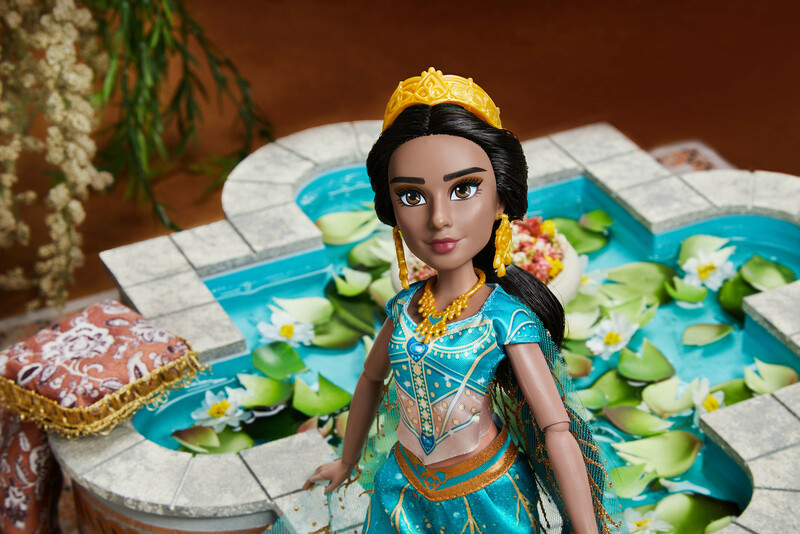 Dollы will be in stores April 22nd. We will add links for online shopping soon.